Songkran is the traditional New Year’s festival in Thailand and is becoming increasingly popular among foreign visitors. It is celebrated throughout the country, usually on April 13-15. Whether you take part in it or not, you should prepare yourself for some splashy days! 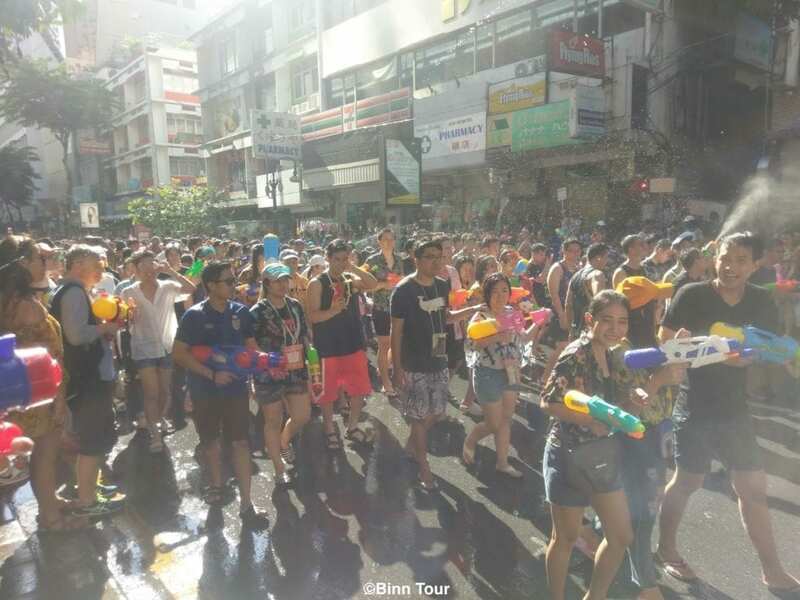 This article will tell you what to expect in the period of Songkran and its significance. On a normal day Silom Road is packed with cars and the constant traffic noise is part of its daily life. However, the scene completely transforms during Songkran when the street is closed to traffic. 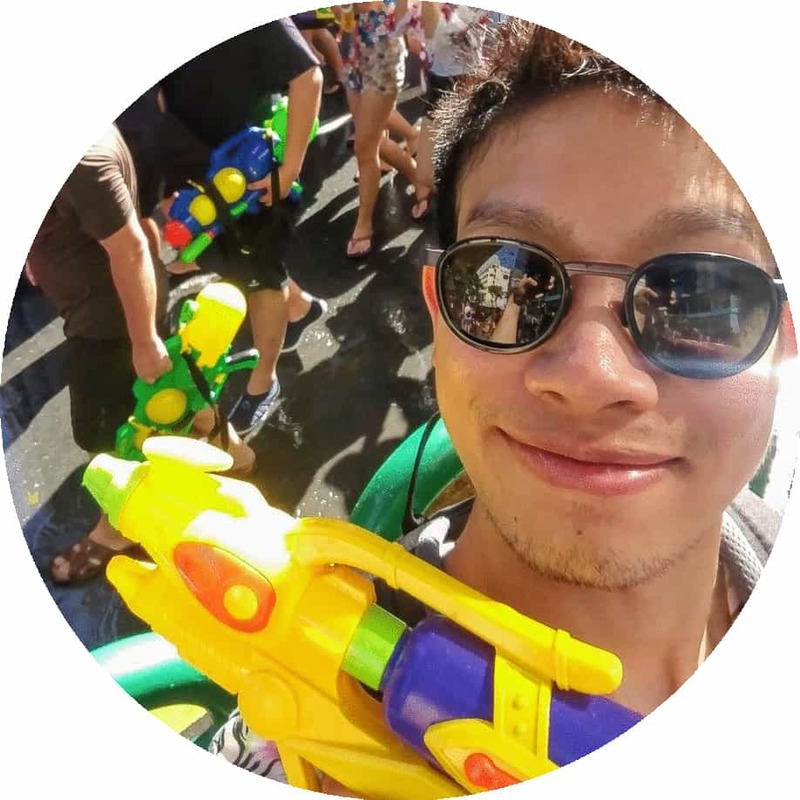 Imagine thousands of people with water pistols coming together in a gigantic water fight. This is Songkran at an epic level and newcomers (as well as the traditional Thai) will be startled by the sight of this enormous gathering. If you are lucky, the fire department will join and pump out even greater masses of water onto the colorful crowd. On a more moderate level, but with no less fun, people celebrate Songkran in the suburbs of Bangkok. Water is filled on pickup trucks to be poured on bystanders on the street. To make it “funnier”, blocks of ice are added to the tanks… Are you ready to join?! But what is the meaning behind the water play? The word Songkran originates from the Sanskrit language and can be translated as “passage”. It signifies the sun’s entry into the astrological sign of Aries and marks the beginning of a new age according to the Thai tradition. It is a period in which people prepare for a new year and free themselves from past burdens, sins and bad luck. As part of the purification ritual, water thus plays an important symbolic role in Songkran. The customs and traditions may vary from region to region, but an essential part is to pay reverence to one’s ancestors. The young pour scented water into the hands of the elderly to express thankfulness and to receive a blessing. Visiting a local temple for merit-making is also commonly practiced as well as the bathing of Buddha statues. Songkran is a special occasion in Thailand. When do you ever get the chance to splash water on friends and strangers? It is a celebration of joy and unity. Last but not least, it brings some refreshment in the hot month of April. Have you experienced the Thai New Year’s celebration yourself? How did you like it?